An excellent evening at St Peter’s Deane 6521! Harvey Marriot’s 50th celebration. 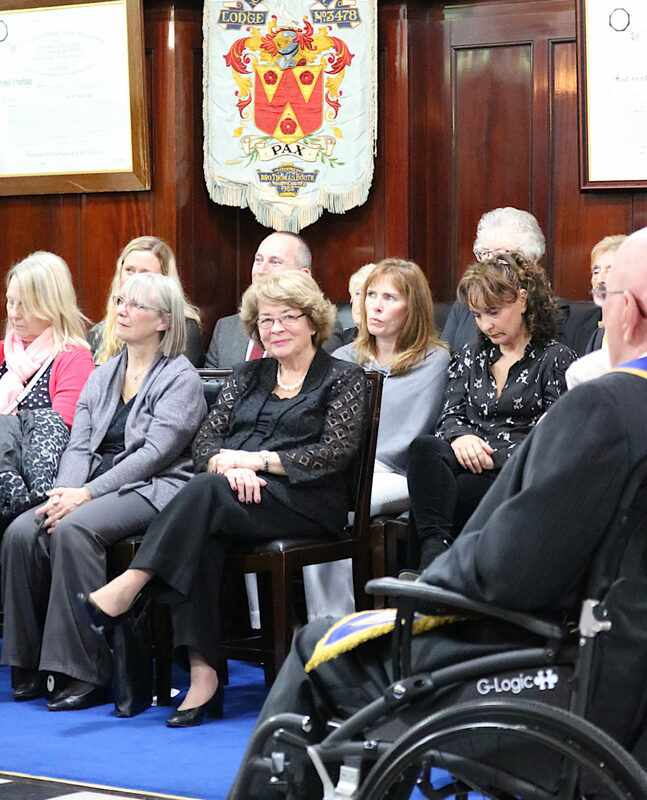 To help celebrate Harvey’s special day, the lodge was called off, ladies families and friends were admitted, and the Assistant Provincial Grand Master John Griffin explained a little bit about what was happening to the visitors. 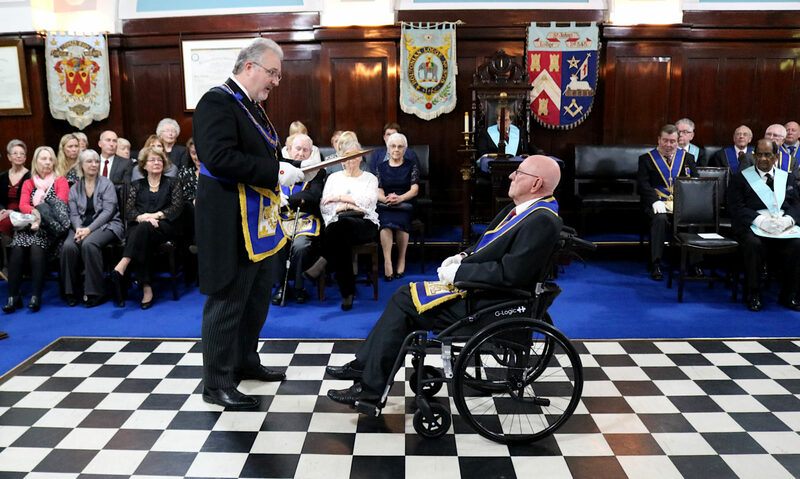 Eddie Barlow, a lifelong friend then delivered a tribute to Harvey and elaborated on his masonic career. The APGM presented Harvey with a personally signed certificate from the Provincial Grand Master. 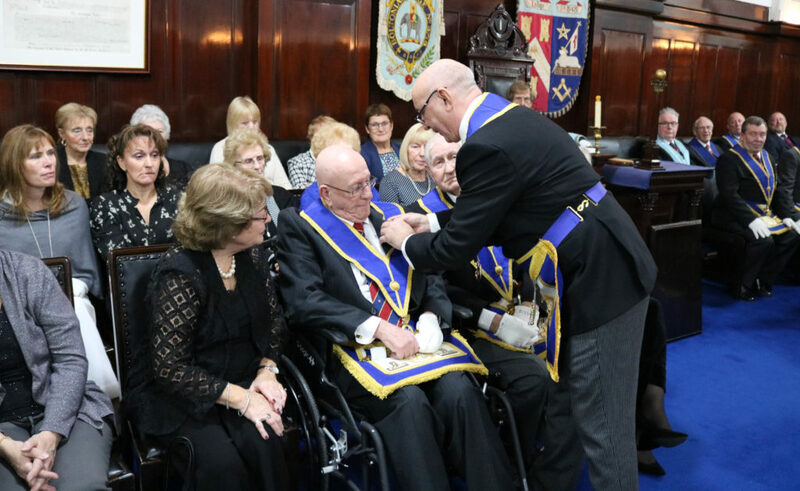 The Bolton & Farnworth district team, supporting Harvey and the Assistant Provincial Grand Master, watched on as District Chairman Terry Kakoullis presented Harvey with a special 50th badge. 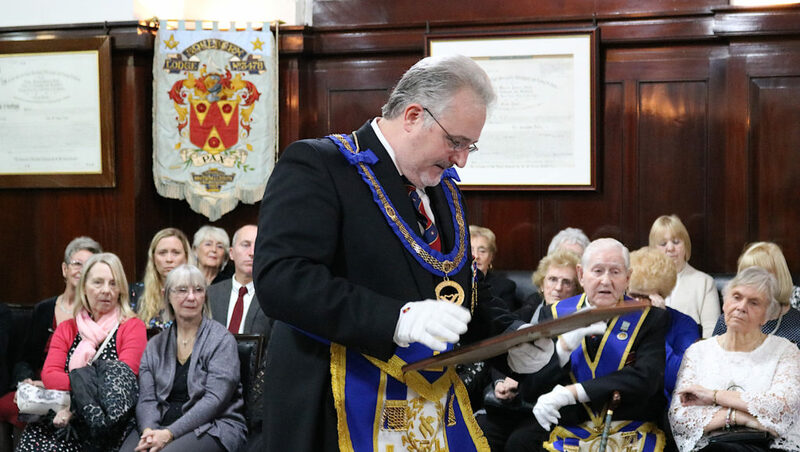 50 years in Freemasonry is a special event and having close family and non-masonic guests in the lodge to share in Harvey’s celebration is to be applauded. At the lively festive board, Harvey’s son delivered a toast which had everyone in peals of laughter. A superb night.